We can all recognise a long bridge when we see one, but deciding on the exact length of a bridge is not so easy. Often there are substantial embankments at either end, which might or might not be regarded as part of the bridge. Of course, it would be possible to measure the width of the spans, but most very long bridges, such as the ones on this list, are in fact viaducts (that is, an elevated road or railway, on a series of short spans rather than one long one), so this approach is not very helpful. The following list of the ten longest bridges in the world, in reverse order, is therefore open to argument. What is surprising, perhaps, is that seven out of the ten are in China, and all of these seven have been constructed within the last decade. 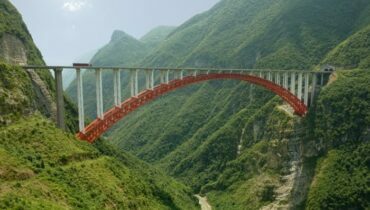 Carrying the Shanghai-Beijing Expressway over the Yangtze River, this gets into the list although it is actually a complex of two suspension bridges with an island in between. Completed in 2005, its longest span measures nearly 5,000 feet between columns. This road bridge, which is 22 miles long, was constructed in 2007, and links the towns of Jiaxing and Ningbo in eastern China. It crosses a wide sea inlet, and faced construction challenges including an undersea toxic gas pocket, strong tides, and the risk of earthquakes. Part of the total length is a cable-stayed bridge section. Carrying the high speed railway line between Tianjin and Beijing, this 22-mile Chinese bridge was completed in 2007, and broke records at that time, although it was quickly surpassed by other Chinese engineering wonders. This was one of the first Chinese high speed railway lines to open, and using the Yangcun Bridge, the Tianjin to Beijing journey time was reduced to half an hour. This bridge, in the American state of Louisiana, is over 22 miles long. Completed in 1979, it carries Interstate Highway 55 over the Manchac Swamp, and is claimed to be the longest toll-free road bridge in the world. The swamp is said to be haunted by a voodoo princess, and is also allegedly home to a Cajun werewolf. In fact, there are two parallel bridges across Lake Pontchartrain in Louisiana, both joining New Orleans with Mandeville on the North Shore of the lake. Over 23 miles long, for forty years the causeway held the record as the world’s longest bridge. Seventeen spans of the bridge were lost to Hurricane Katrina in 2005, but it is now operating again. Some Americans have claimed that, because the Lake Pontchartrain Bridge is straight, it should be regarded as longer than several of the Chinese bridges which have bends in them, so cross a shorter total distance. Part of China’s massive investment in rapid transport infrastructure, this viaduct, which opened in 2011, carries the Beijing-Shanghai High-Speed Railway, near China’s capital city Beijing. Just short of 30 miles long, the bridge runs mostly over land, and its longest span is about 350 feet. There has been controversy over whether this is really a bridge, or just an elevated highway section. Opened in 2005, it carries a toll road over the Bang Pakong River, but for most of its 30 mile length it follows the line of the Bang-Na Pakong Highway, which runs below it. Part of the Zhengzhou-Xi’an High-Speed Railway, this 50 mile viaduct crosses the Wei River in two places, as well as other railway lines, roads and rivers. The bridge was completed in 2008, but was not in regular use until the railway opened in 2010. Like the Beijing Grand Bridge, this is a viaduct carrying part of the Beijing-Shanghai High-Speed Railway, which has cut the rail journey between China’s two principal cities to only four hours. 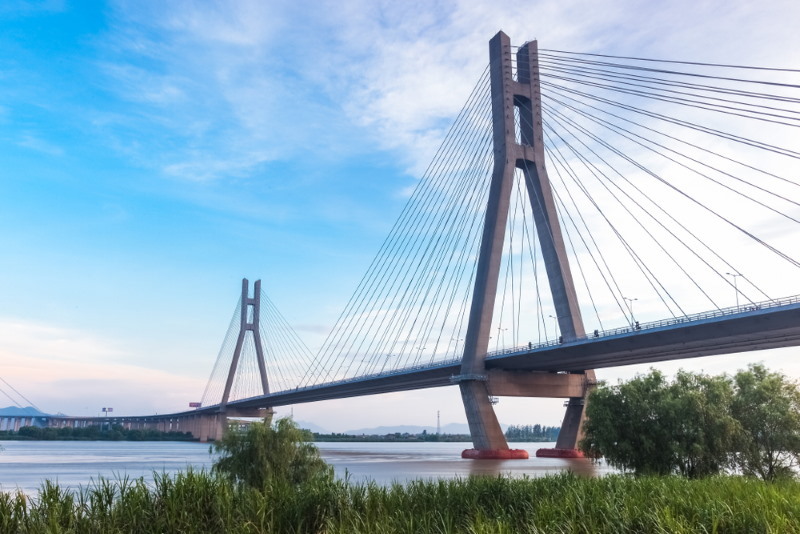 The Tianjin Grand Bridge is 71 miles long, and runs between Langfang and Qingxian. Also part of the Beijing-Shanghai High Speed Railway, the world’s longest bridge measures 102 miles, and was built in four years, employing 10,000 construction workers. 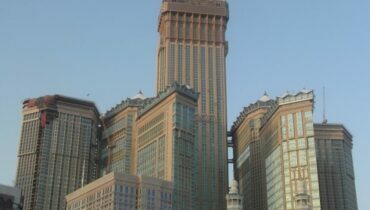 It was opened in June 2011, and its cost has been estimated at £5.4 billion. The bridge takes the railway line across water and rice paddies in the low-lying Yangste River Delta, at an average height of about 100 feet. Be sure to also read the top 10 higehst bridges in the world.